In an African village live seven brothers who make family life miserable with their constant fighting. When their father dies, he leaves an unusual will: by sundown, the brothers must make gold out of seven spools of thread. If they fail, they will be turned out as beggars. 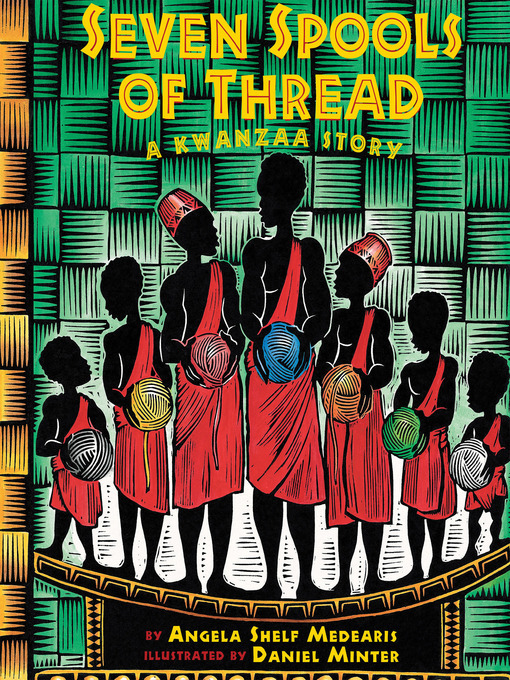 Using the Nguzo Saba, or seven principals of Kwanzaa, the author has created an unforgettable story that shows how family members can pull together, for their own good and the good of the entire community. Magnificent and inspiring linoleum block prints by Daniel Minter bring joy to this Kwanzaa celebration.